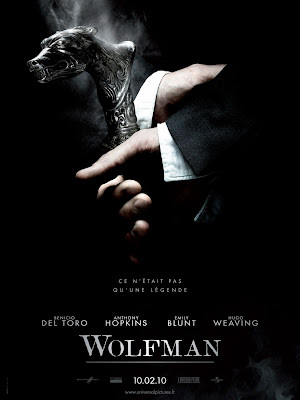 Plot/ Lawrence Talbot, a haunted nobleman is lured back to his family estate after his brother vanishes. Reunited with his estranged father, Talbot sets out to find his brother... and discovers a horrifying destiny for himself. Talbot's childhood ended the night his mother died. After he left the sleepy Victorian hamlet of Blackmoor, he spent decades recovering and trying to forget. However, when his brother's fiancée, Gwen Conliffe, tracks him down to help find her missing love, Talbot returns home to join the search. He learns that something with brute strength and insatiable bloodlust has been killing the villagers, and that a suspicious Scotland Yard inspector named Aberline has come to investigate. I picked-up this sealed puzzle as part of a lot at a local estate auction, little did I know that it was rather rare. 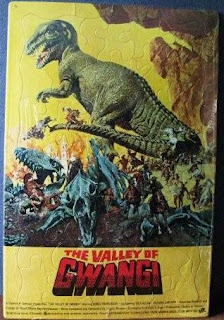 What I found was that this is the elusive The Valley of Gwangi promotional puzzle, an ultra-rare premium that was originally sold at major movie houses when the film was first released. As I am not a huge collector of Harryhausen items, I will probably eventually part with this. Although I have no idea what it is worth, and the only one on ebay is listed for over $200. If anyone has information on this, I would appriciate it. My email is ringmaster@scarletcircus.com. 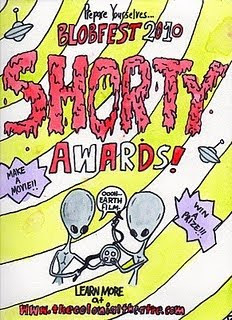 Thank You to everyone that has voted! As my celebration of Vincent Price comes to an end, I decided it was time to jump into his Edgar Allan Poe adaptations. For those that do not know, Poe is my favorite author of all time and have even dressed up as Poe for Halloween. 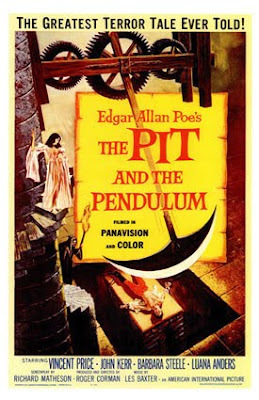 My choice tonight was one of my favorites, The Pit and the Pendulum from 1961. Plot/ Francis Barnard goes to Spain, when he hears his sister Elizabeth has died. Her husband Nicholas Medina, the son of the most renowned torturer’s of the Spanish Inquisition, tells him she has died of a blood disease, but Francis finds this hard to believe. After some investigating he finds out that it was extreme fear that was fatal to his sister and that she may have been buried alive! Strange things then start to happen in the Medina castle. While going through my Vincent Price collection this week, I have really taken a trip down memory lane. I grew up on his movies and they truly were my introduction into the horror genre. 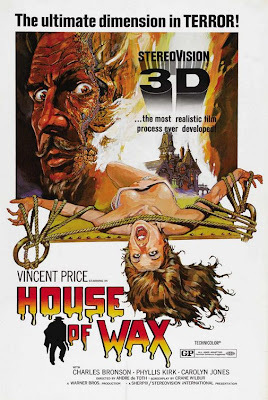 Looking back, I believe one of the first Price films that caught my imagination was House of Wax, a movie seemed to just stay with me and I could not wait to grab it when it came out on DVD. After spending the early part of the week going through some of the movies Vincent Price made famous in the 1970s, I felt it was time to take a step back. My choice for tonight was the 1959 Price classic House on Haunted Hill for my incarnation of Vincent Price Week on the Ringmaster’s Realm. 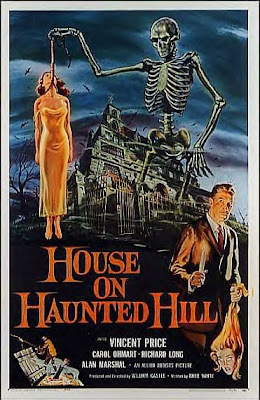 Plot/ Millionaire Fredrick Loren invites five strangers to a party in the House On Haunted Hill. The house has a past of brutal murders. Mr. Loren's fourth wife, Annabelle, warns the guests that her husband is insane and plans something that night. That is when everyone begins to suspect something is going on with Mr. Loren. At midnight, the doors are locked and there is no way to get out. Then when a game of murder begins and no one knows who is doing what there is no way to call for help. As I move into day four of Vincent Price Week, I decided to watch and review his 1974 entry Madhouse. While this is not my favorite Price film, it definitely seems to grow on me more every time I watch it. As I continue my journey this week through some of the films of Vincent Price, I could not help but to be in awe of his genius. Looking at his library of film is like reading Poe or Byron, so many titles that just jump out at you. 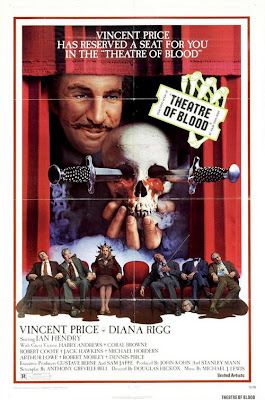 Today’s choice is Theatre of Blood from 1973. I remember seeing this film later than many of the other Price films, as it seemed almost unknown. Once I did, I have to admit it is one of my favorites and one that I watch on a regular basis.